In order to help the Tech Lions gain the support of the Bridgeport school system, the team attended a Board of Education meeting to discuss FIRST and the multiple positive impacts it has on students. i²r and two members of the Tech Lions presented with a speech, videos and a demonstration of the robots. Presenting to the Bridgeport Board of Education. After introducing ourselves, we gave a brief overview of FIRST and FTC and explained how involvement in these programs is beneficial to students. We touched upon the importance of STEM, particularly in underserved communities, as well as the multiple aspects of robotics, including: gracious professionalism, networking, art, business, collaboration and leadership. 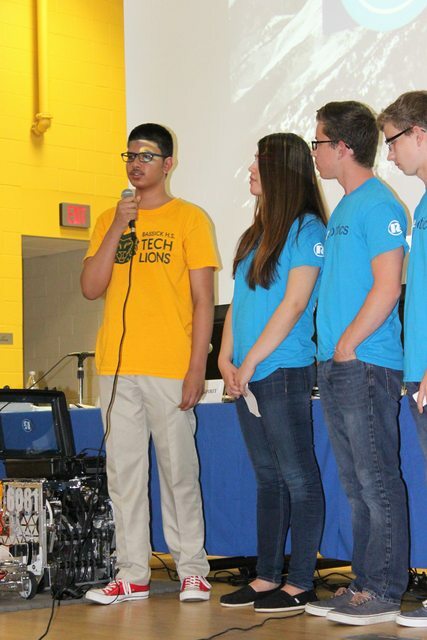 Sayem, a Tech Lions member, discussing why he loves FIRST! 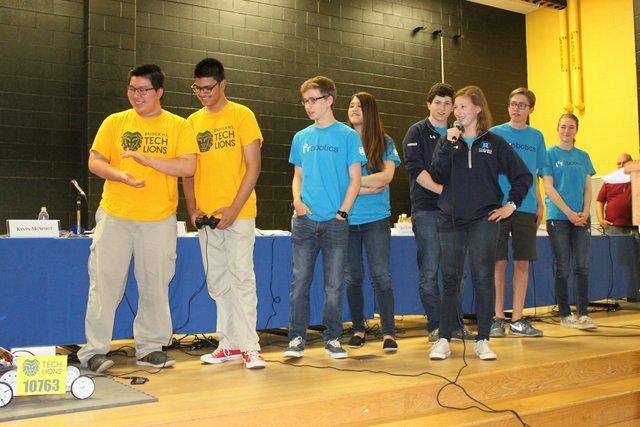 The Tech Lions spoke about their experience as a rookie team and their amazing season. We also showed videos from our youtube channel recapping the competitions. Demonstrating both of the robots while Pheobe gives a play-by-play! In addition to showing videos and speaking, we demonstrated both ours and the Tech Lions’ robots. As they drove the robots, Phoebe explained the challenge for this year and how they succeeded in the competitions. The audience watching our presentation! 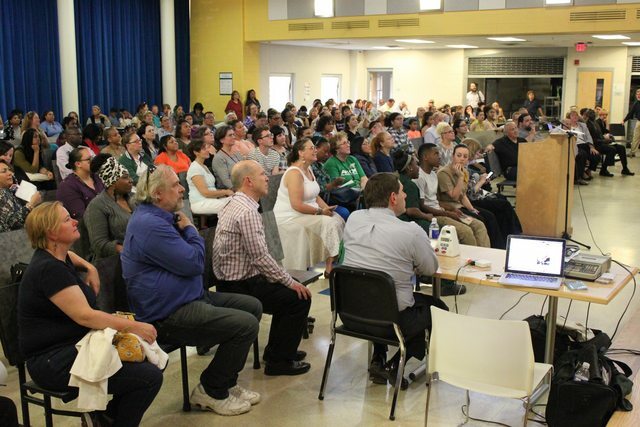 About 200 people were at the Board of Education meeting, attentively listening to our presentation. Many audience members got quite excited at the prospect of robotics! 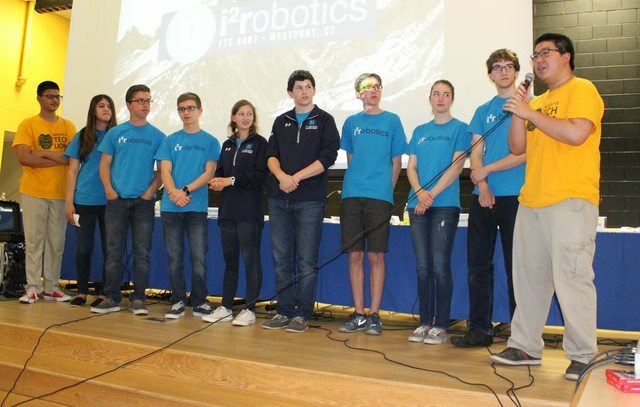 We want to thank the Bridgeport Board of Education for giving us the opportunity to speak to the community about robotics. We hope to expand the program in the Bridgeport school system in the future!